The Psychiatric Education and Research Foundation was established in January of 1990 as a 501(c)(3) charitable, non-profit philanthropic and educational organization to promote the goals of the Southern California Psychiatric Society and its member psychiatrists. Specifically, PER aims to foster the active participation of psychiatrists in our community to improve psychiatric care, increase access to treatment and fight against the destructive effects of stigma and discrimination of persons suffering from psychiatric problems through education and research. 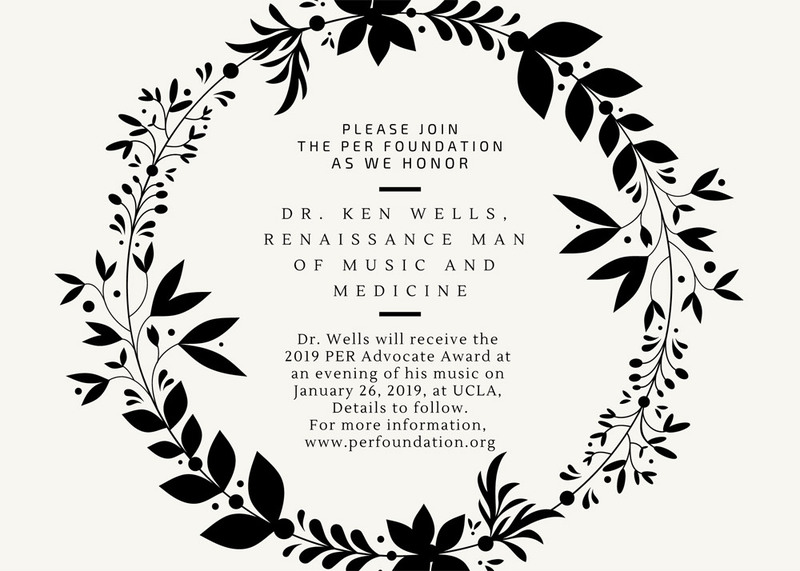 This year we are proud to present the PER Advocate Award to Renaissance Man of Medicine and Music, Dr. Kenneth. B. Wells. 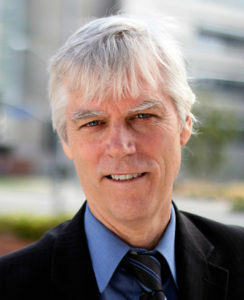 Kenneth B. Wells, MD, MPH, is the David Weil Endowed Professor of Psychiatry and Biobehavioral Sciences at UCLA David Geffen School of Medicine and Department of Health Policy and Management at the Fielding School of Public Health, Senior Scientist at the Jane and Terry Semel Institute for Neuroscience and Human Behavior, Affiliated Adjunct Staff of RAND and Staff Psychiatrist at West Los Angeles VA. As psychiatrist and researcher, Wells led studies of how variations in healthcare systems and financing affect mental health care and outcomes, and used Community-Partnered Participatory Research to address disparities in access to and outcomes of services for depression in Community Partners in Care (CPIC), which won the Association of Clinical and Translational Sciences 2013 Team Science Award and 2014 Campus Community Partnerships for Health Annual Award. Wells then received the 2018 Sarnat International Prize in Mental Health of the National Academy of Medicine. An active musician, Wells directs the Mansfield Chamber Singers, and composed and produced through the Semel Institute two operas on mental health themes—”The First Lady” about Eleanor Roosevelt’s resiliency in grief and “The Center Cannot Hold” based on the memoir of her mental illness by attorney and McArthur Genius Grant Award winner Elyn Saks. Integrating research and music, a documentary on CPIC ending with a choral composition on thriving, lyrics by Loretta Jones and music by Wells, was selected for the National Academy of Medicine’s “Visualize Health Equity” permanent online arts exhibit. Join us for a musical evening at UCLA Semel Auditorium on Saturday, January 26, 2019. Awards & Performance begin at 7:30pm. UCLA Semel Auditorium on Saturday, January 26, 2019. 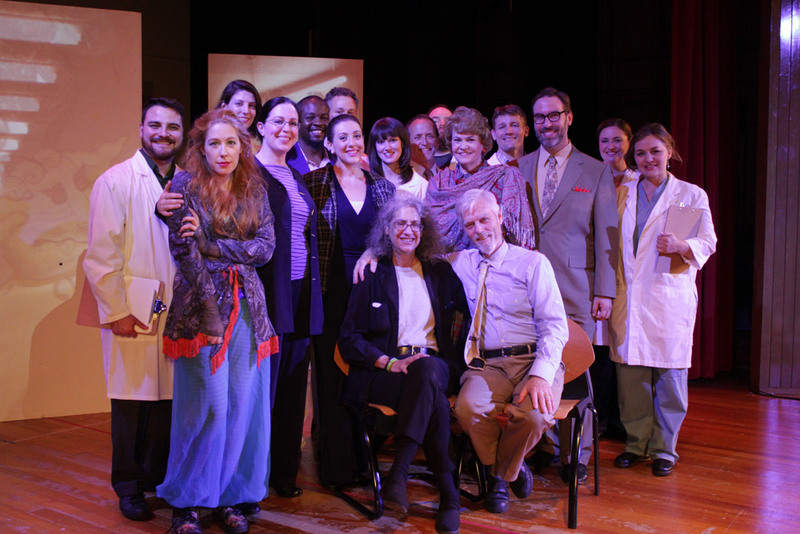 Event is featuring Live Performances from Dr. Wells’ Previous Operas and the West Coast Premiere of a Scene from his New Opera. Registration is free, but required to attend. To RSVP, please click here. Voluntary donations for this event of any amount are gratefully acknowledged. A $100 tax deductible donation is requested. This will make you a PER Foundation member for 2019, with full access to upcoming PER programs. We look forward to sharing this event with you. To donate to PER, please click here. Special Request: As part of this event you will have the opportunity to participate in a short anonymous survey on the Arts and Mental Health for a UCLA Research Study. This survey is optional. You will be asked to complete 10 questions before and 13 questions after the event that will take approximately 5 min. total of your time. Thank you for your consideration.